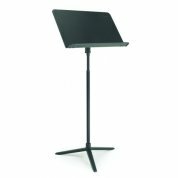 This rugged all-metal music stand is designed for general practice and performance. 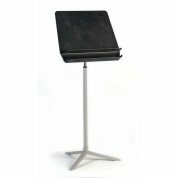 With its welded base, the Roughneck Music stand always stands straight, won't lean or wobble and will never need tightening. A great investment that will last and last! 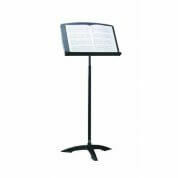 The Bravo music stand is the premier heavy-duty stand for concerts and rehearsals. More than just elegant, these music stands are nearly indestructable and will look great for years! Heavy-duty design won't chip or scratch. Call the sales team on 0800 072 7799 to find out more. 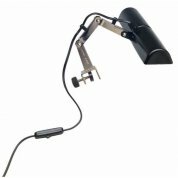 The LED music stand light from Black Cat Music simply clips on to your music stand. 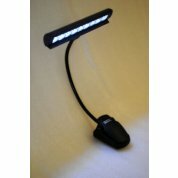 4 LED lights (2 per gooseneck) provide bright, even illumination for your sheet music. Easy positioning of goosenecks, with individual light control, ensures lighting when and wherever you need it. 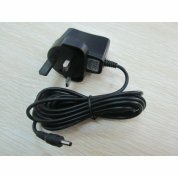 Save money on batteries - this AC adapter with lightweight and long power cord allows you to plug in and light your sheet music just about anywhere. 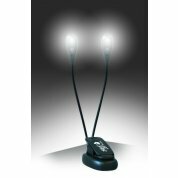 Compatible with the Black Cat Music LED light. The Mighty Bright Duet 2 is the professional music stand light with double the brightness! Save money on batteries - this AC adapter with lightweight and long power cord allows you to plug in and light your sheet music just about anywhere. 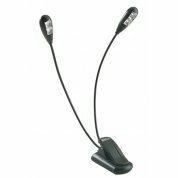 Compatible with the Mighty Bright Duet 2 music stand light. Utilizing a combination of modern LED technology and precisely engineered optics, the Mighty Bright Orchestra Light is the brightest, most efficient and most versatile music stand light on the market. REDUCED! 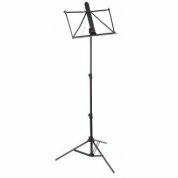 Lightweight, portable aluminium music stand with high quality joints making it a pleasure to fold and unfold. Features adjustable desk and comes complete with carrying bag. 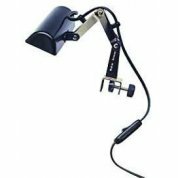 Smart music stand light with 3-way tilt adjustment and two tubular bulbs included. Single music stand light with black light shade. REDUCED PRICE! 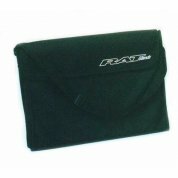 Handy shoulder bag for your Jazz Music Stand, music and accessories.